EnduroShield is a world leader in home surface protection. EnduroShield is available in DIY kits for the home and protects glass, tile and grout and stainless steel. Stocked by some of the largest home retail outlets in the world, EnduroShield is well placed to offer tips about how to keep tile surfaces and flooring looking new in the home. Sydney, Australia, September 18, 2018 --(PR.com)-- EnduroShield is a world-leader in tile protection, stocked by some of the largest homeware stores around the world, EnduroShield can help you keep your beautiful tiling in kitchens and bathrooms looking like new. Even floor tiling can be protected from daily wear. Here are some tips on how to keep your interiors looking beautiful. There is an ever-changing range of beautiful tile products to choose from for inside your home. With so many choices and decisions to make when building or renovating, it is often the finishing touches that can be overlooked. A crucial factor to consider is how to protect the tile and grout to preserve the long-term look and reduce maintenance time. Tiles are used in many locations within the home including some of the most used areas such as the bathroom shower or kitchen floor. With constant exposure to minerals in the water, soaps, shampoos, dirt and grime it is important to consider a suitable tile protection. Consider the following list when selecting the right product for your home. - Prioritise the areas to protect: Areas such as the tile and grout within the shower, bathroom floors and kitchen floor should be prioritised due to their constant exposure and use. Shower environments can be exposed to dirt, grime, minerals, soap and shampoos. 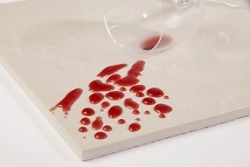 This can lead to staining and build-up that can be difficult and time-consuming to remove. - How the protection works: For areas within your home consider a product that not only helps protect the grout, but that also makes the tile surface easy to clean. Choosing a protection that is breathable and resistant to both water and oil stains is beneficial due to the regular exposure in kitchens to cooking oils and wine as well as bathroom contaminants such as soaps and body oils. - Consider the colour and appearance of the tile: Maintain the look of the tile chosen by selecting a protection that does not change the colour or appearance of the surface after it is applied. - Understand what products are recommended to clean the protected tile: While protecting the tile and grout areas helps to reduce maintenance, it does not eliminate the need to clean them. Natural cleaners are recommended while highly abrasive products are not required and are to be avoided. To learn more about tile and grout protection, please reach out to the EnduroShield team on 1300 720 050. EnduroShield Tile and Grout DIY home kits are available in Beaumont Tiles, Highgrove Bathrooms, smaller retail outlets in your area or buy direct from our website.